Jamie is referring to an article we wrote about cortisol levels, adrenal fatigue, and sleeping patterns. 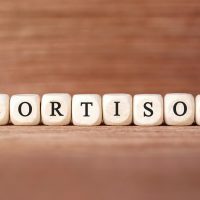 Cortisol is a very important hormone. Without cortisol, we cannot live. But having your cortisol levels balanced plays an important part in daytime energy and sleeping patterns at night. Cortisol is released from your adrenals glands in a “diurnal curve”. Meaning, cortisol is highest in the morning so you wake up “bright eyed and bushy tailed”, ready to start your day. Over the afternoon the cortisol will dip slightly. Come evening it will drop dramatically so you are ready to go to sleep and stay asleep all night long. In this episode, we talk about three dysfunctional cortisol curves that affect sleep and daytime energy. Having dysfunctional cortisol levels can create havoc on a person’s quality of life. We didn’t want to poke light at these dysfunctional patterns as these are serious issues. But to help with learning and teaching we created three “types” of dysfunctional cortisol patterns relating to adrenal fatigue. Three types of dysfunctional cortisol release patterns that affect and contribute to adrenal fatigue. We call these types, The Vampire, Ghost A / Ghost B, and The Zombie. Vampire: The Vampire has high cortisol in the evening and low cortisol in the morning. That makes the Vampire feel really good at night. Inevitability because Vampires feel so good at night, they have a hard time falling asleep. They will stay up late because they actually feel “normal” in the evening. But come morning, they have a hard time getting out of bed. These are the people that press snooze multiple times and usually takes them forever to get out of bed. Even though they reluctantly crawl out of bed, they still complain about brain fog and feeling tired until at least midmorning. Ghost: The Ghost is the person that falls asleep easily. They always say, “I have no problem falling asleep. My head hits the pillow and I am out. But I always wake up a 2-4 hours later”. That is because their cortisol is low in the evening. But will raise up in the middle of the night, waking them up. You will find your Ghosts roaming the house in the middle of the night. They might end up watching TV, eating, playing on their phones or even checking their email. Some get so fed up waking up in the middle of the night that they just get up and start their day. Most Ghosts feel fairly well in the morning. But they disappear and “Ghost” everyone in the afternoon. Between 1230 and 330pm Ghosts say they get so tired they can barely function. They struggle to get through the rest of the day until they fall into bed and fall asleep. But like I said, they sleep for about four hours and wake up. There are two variants of the Ghost. I have named them Ghost A and Ghost B. In the article, I call them the Ghoul and the Poltergeist. Ghost A: These people fall asleep hard but wake up about 4 hours later and cannot go back to sleep. They will be up for hours. And when they finally do become tired and fall back asleep, they have to wake up for the day soon after. Ghost B: Like Ghost A, these people fall asleep fast and hard. But after about 2-3 hours they wake up. They then fall back to sleep, only to wake up again 45 min to an hour later. They do this all night long, waking up multiple times in the night. Needless to say, they are really tired in the afternoon because they only got a series of naps the night before. Zombie: We really feel for the Zombie. The Zombie has low cortisol levels all day and night long. That means there is never any part of the day that they feel any energy. Zombies say they could sleep all the time, and they can. They can easily sleep 8 plus hours at night and then sleep hours in the day if allowed. Zombies are continuously mentally and physically tired 24/7. Back to Jamie and her question. Jamie’s doctor put her on progesterone at night to balance her estrogen-dominance. I think this is a great idea as progesterone reduces cortisol at night and raises GABA. The progesterone will help Jamie falls asleep. Jamie’s goal is to reduce her cortisol at night. As she is a Vampire. She has low cortisol in the morning. Low cortisol in the morning is usually a sure indicator they are a vampire. The nighttime cortisol values are not as accurate. As the cortisol might be “normal” or will raise later after her last salivary testing. DHEA is great for the adrenals, but I do not think it will make Jamie’s mornings any better. Disclaimer: Her goal is to reduce her cortisol at night and raise it in the morning. At night the progesterone is perfect to help with her sleep and reduce cortisol. But also taking supplements to reduce the cortisol, like a Cortisol Manager or Kavinace. And taking an adrenal supplement to raise her cortisol in the morning. 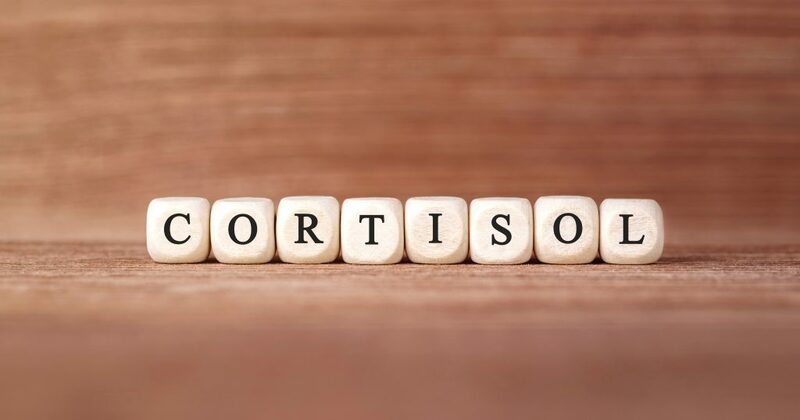 But if her cortisol is still low with a supplement, she might need a prescription hydrocortisone short term to raise the cortisol in the morning.